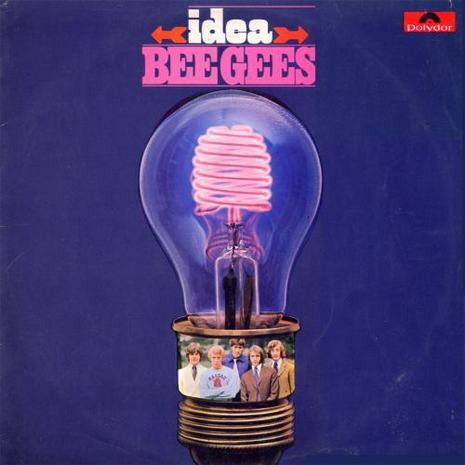 Idea is the Bee Gees' fifth studio album, and their third international release. Released in August, 1968, the album sold over a million copies worldwide. This album features "Such a Shame", the only non-Gibb Bee Gees song, written and co-sung by lead guitarist Vince Melouney. "Such a Shame" was included on the British version of the album but deleted from the American issue, which in turn included their recent hit "I've Gotta Get a Message to You", not on the UK LP. When the album was issued on CD in the 1980s, both tracks were included. In 2006, Reprise Records reissued Idea (using the European cover) with both stereo and mono mixes on one disc and a bonus disc of unreleased songs, non-album tracks, and alternate mixes.